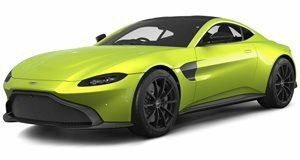 The latest example: this Aston Martin V12 Vantage. Unfortunately, crashes at the Nurburgring are common, typically caused by driver error. The Nurburgring is one of the most difficult circuits even for professional race car drivers, and the fact that it’s also a toll road where anyone can pay the 29 euro entry fee and begin driving makes it all the more scary. Earlier this month there was another major crash that resulted in a 14-car pileup. The cause was a fluid leak from the coolant hose of a Porsche 911 GT3 RS. Of course the pileup could have been avoided if track marshals were present. However, a coolant leak causes vehicles to lose traction and control almost instantly. So no matter what a crash will happen before marshals can alert other drivers. The latest sign of leaking coolant issues comes from this video taken by Automotive Mike, featuring an Aston Martin V12 Vantage. It appears to be a factory car, and after completing several successful laps, the problem occurred. Fortunately, and this is probably because there was a pro driver at the wheel, the Vantage managed to pull out of the main track lanes on to the side. The break down was due to an exploding coolant fluid hose. We already know what would have likely happened if that coolant spilled on to the asphalt. The driver told Automotive Mike this affliction has happened before, so clearly there’s something wrong that Aston Martin needs to resolve.